Subject: Plate : 'Mendiant'. 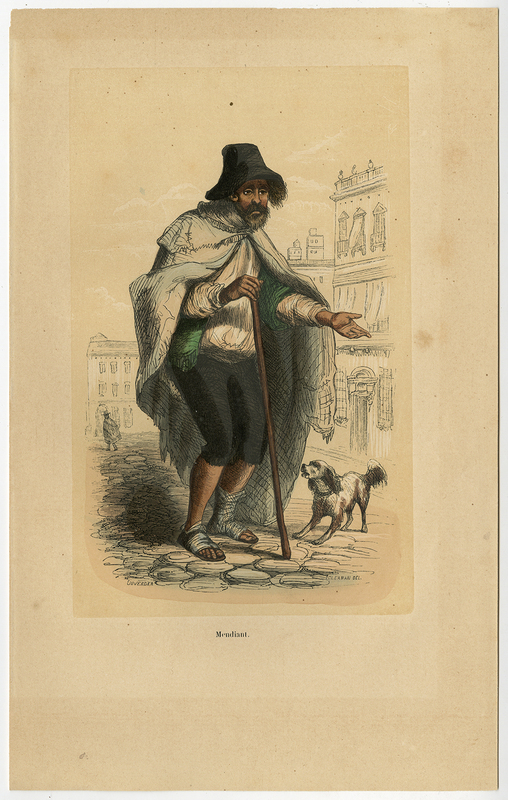 This plate shows a Spanish beggar in 19th century costume. Condition: Good, given age. Margins partly browned, will frame out. Brown spot just right of the image. General age-related toning and/or occasional minor defects from handling. Please study scan carefully. Artists and Engravers: This plate engraved by Duverger after Clerman.